With “The American Dream, Room 2018,” the hyperrealist artist playfully deconstructs America’s darkest corners. 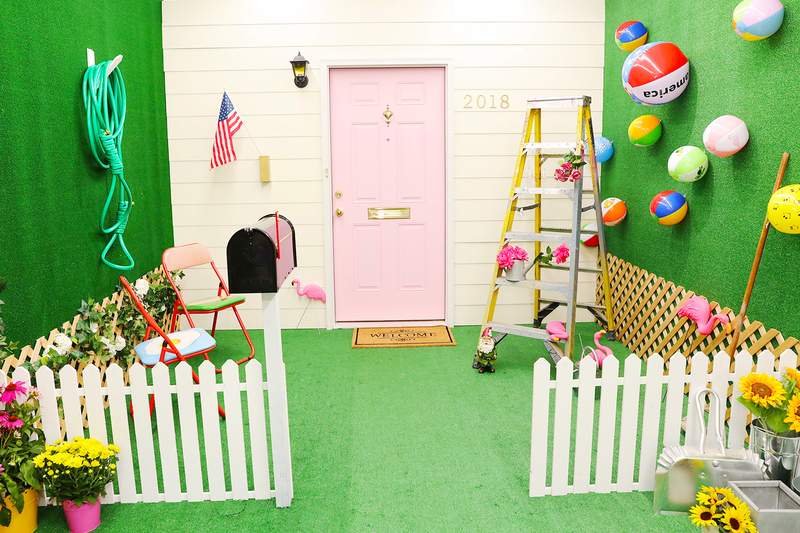 Artist Pia Sawhney’s The American Dream, Room 2018 is an Instagram fantasy that hides, beneath plush and pink, its own nightmare. Each part of the two-room hyperrealist installation is interactive, with blink-and-you’ll-miss-it elements around every corner. 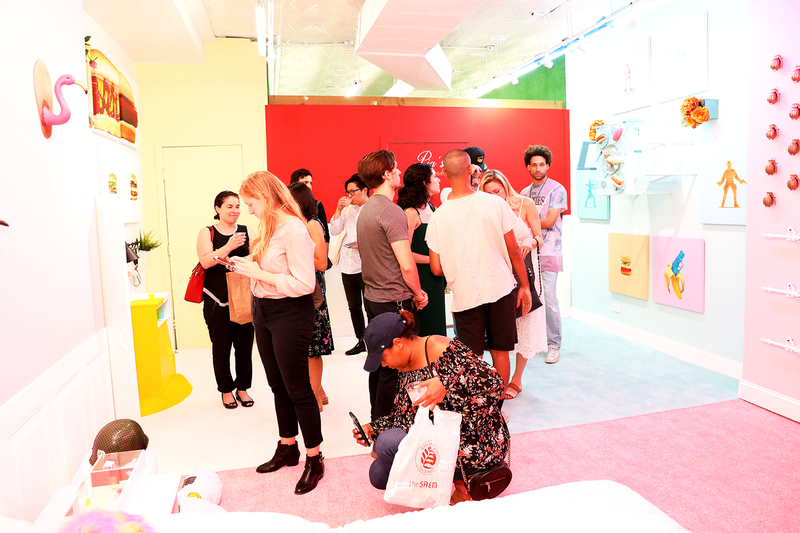 The gallery pop-up is camera ready (the made-to-go-viral, immersive art trend isn’t going anywhere), but you might be pleased to find that this project—unlike other recent pop-ups dedicated to, say, candy, tea, and rosé—comes with a heaping side of satire. The first room is constructed as the outside of a home, with a picket fence installed above green grass. Look around and you’ll find hints of something more sinister: plants on the wall held up by little busts fashioned as replicas of a gas mask, an AR-15 rifle, and a soldier’s helmet, all painted in the most inviting millennial pastels. It’s “a little bit of Museum of Ice Cream meets Childish Gambino’s ‘This Is America,’” says Sawhney. The second room is more of an homage to Pop Art. The interior door is a re-creation of Andy Warhol’s famous soup cans. A teddy bear in camouflage gear sits on the floor next to a used ashtray and an empty bottle of Pernod (not a drink for lightweights!). A smaller stuffed bear lay on the bed, its head detached from its tiny body. No one in the room, myself included, could restrain themselves from painstakingly photographing the artwork, some opting to pose with the collection of guns and grenades arranged on the wall to resemble the American flag. Easter eggs are hidden throughout the room for visitors to discover, including one stuffed with pills and stashed inside a copy of the Bible. (I won’t spoil any other hidden gems because they’re too much fun to discover for yourself.) Room, ultimately, seems built to be a playground for art enthusiasts. But like the American Dream itself, Sawhney’s project won’t live forever. Catch it this weekend before it’s gone.